Equilox 4:1 Deep Penetrating Adhesive is an extremely strong resin that can be used for anything from repairing small quarter cracks to reconstructing an entire hoof wall, yet flexible enough for easy filing, shaping, and even nailing. 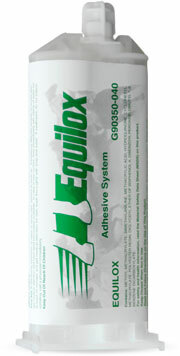 Equilox 4:1 Adhesive has the same properties as our Equilox I formula, but a 4 to 1 mix ratio for deeper penetration to fill holes. Note: Equilox 4:1 40 ml Mini Cartridge requires Equilox Mini Dispensing Gun. Recommend Small Applicator Mixing Tips.